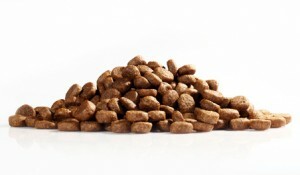 ProPlan is the top-of-the-line food for Purina, one of the biggest pet food companies in the world. 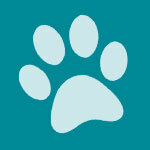 It’s fed by lots of dog owners, breeders, dog show people, and other dog professionals with excellent results. The individual dog owner looking for foods with the best ingredients may not like ProPlan. If you don’t like grain or corn, you won’t like this food. But ProPlan has a long history of providing good nutrition for dogs. 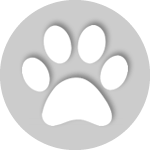 ProPlan is made by Nestle-Purina, one of the largest pet food manufacturers in the world. The company is headquartered in St. Louis, Missouri. Purina makes over 30 well-known brands of pet food. They have global revenue of over $12 billion from pet food sales. Purina makes their own foods and has a number of plants throughout the United States. 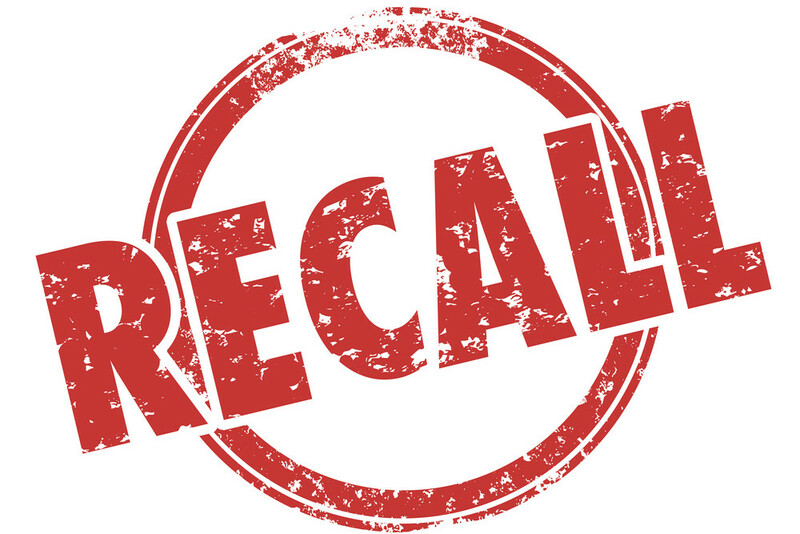 We found one recall for Purina ONE Beyond in 2013. ProPlan’s foods used to be much easier to understand before they made them what is probably meant to be more customer-friendly or appealing for marketing purposes. Now they have names like “Sport,” “Savor,” “Focus,” and “Select.” Who knows what that stuff means? If you have been feeding your dog this food for a long time, you can find the same ProPlan formula and keep feeding it. As far as we can tell, the formulas haven’t changed. 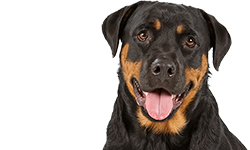 But if you’re not familiar with ProPlan’s foods, then you’ll have to read the labels/bags or check out the ProPlan website to see the life stages, breeds/sizes, special needs formulas, and other kinds of foods available. 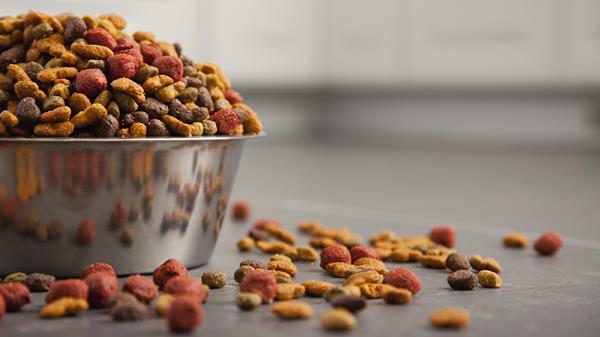 Many times when a food changes their packaging it means there is also a change in formula, so this is something you should beware of when buying pet food. Or, it means that the food is now being sold in a smaller bag – usually for the same price you were paying for a larger amount. This has been happening regularly in the last 10-15 years. The large bags of ProPlan sold in pet food stores used to be 44 lbs., for example. Now they are 37.5 pounds. 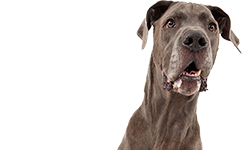 The move toward smaller bags in ProPlan has been slower than in many other dog foods, but it’s something that is happening throughout the pet food industry, as many owners can attest. Pet food companies will tell you that pet owners prefer smaller bags because they are easier to carry and handle but the truth is that pet food companies simply make more money by charging the same price for smaller bags of food. ProPlan makes kibble and canned food as well as snacks and treats in most of their formulas. They have foods for puppies, adult dogs, and senior dogs. They make food for Toy, small, large, and giant dogs. And they have weight management foods and food for dogs with sensitive skin and stomachs. ProPlan includes nearly 100 products. You can find foods with various meat proteins as well as protein to fat formulations and even some limited ingredient diets. ProPlan does tend to use corn in many of their foods (with the exception of some of their special needs diets). They also use some other ingredients that people who read dog food labels carefully will dislike such as poultry by-product meal, animal fat, and animal digest, as well as synthetic vitamin K. Absolutely, these are lower quality ingredients. However, ProPlan, made by Purina, is backed up by excellent dog food nutritional research. ProPlan and other Purina foods have decades of healthy dogs with long lives to back up their foods. It’s hard to argue with that kind of success. 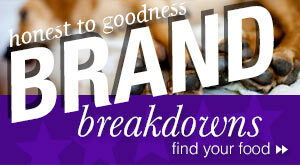 Their foods also have a good record when it comes to quality assurance. We may not like all of the individual ingredients in the foods, but the foods appear to be good for dogs. We have to say that ProPlan is a good food based on years of evidence. We know lots of dog people who feed this food and they have dogs who routinely live long, healthy lives into their teen years. We know that this goes against the preference for human quality ingredients in dog foods. If the ingredients bother you, you can feed something else. But dogs who eat ProPlan do very well. Adult ReFuel Bar Post Exercise Nutritional Supplement. The ProPlan Sport line of foods is for active dogs, especially dogs who expend a great deal of energy in activities such as agility, hunting, hard running and playing, actively showing, breeding, and pursuing other strenuous endeavors. The kibbles are all life stage products so they are suitable for dogs that are puppies, adults, seniors, or gestating females. Previously the Sport line of kibbles only featured Performance (30/20 protein/fat) but ProPlan added the Active and Advanced kibbles in the last couple of years. You should note that ProPlan Sport Salmon & Rice is not the same food as Select Adult Sensitive Skin & Stomach Formula. Many people choose that formula because they have a dog with sensitive skin or stomach problems or because the ingredients are somewhat better than some of the other ProPlan foods. The ProPlan Salmon & Rice formula is also 30/20 protein/fat. This formula usually gets very good reviews from people who feed it to their dogs, whether they have previously fed other ProPlan formulas or they are coming to this food from another brand. However, other than the use of salmon in the food instead of chicken, this food is very similar to the other Sport formulas. On a dry matter basis the Sport Salmon & Rice formula has 34 percent protein, 22.7 percent fat, 3.4 percent fiber, and 30.7 percent carbohydrates. That’s a rather low percentage of carbs considering the amount of corn in the food. 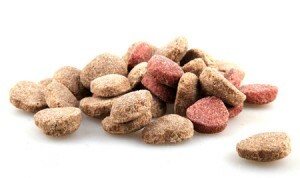 The food has 496 calories per cup so it’s very rich and dogs who aren’t very active can easily get fat eating this food. The first five ingredients in this food are Salmon, corn gluten meal, brewers rice, poultry by-product meal (natural source of glucosamine), and whole grain corn. Salmon is a good ingredient for dogs and an excellent source of omega-3 fatty acid. It’s 46 percent protein and 54 percent fat but dogs are able to obtain most of the protein from this food (fish have a biological value of about 76). However, since this is whole salmon it would contain a lot of moisture. When the moisture is removed by cooking, this ingredient (by weight) would come lower in the list. The second ingredient is corn gluten meal and the fifth ingredient is whole grain corn. That’s a lot of corn in the first five ingredients and you would be right in thinking this food contains a lot of grain. Corn gluten meal is typically added to dog food not as a carb but for its high protein content. Corn gluten meal can have 40 to 60 percent protein so it adds a lot of protein to dog foods. Corn gluten meal is a golden powder. Whole grain corn is a bulkier ingredient with a lower protein percentage. It usually has around 6-8 percent protein and is mostly carbohydrates. Obviously, any dog that has allergy problems with corn will need to avoid this food. Plant sources of protein are usually harder for dogs to digest than meat sources of protein, though dog food manufacturers go to great lengths to try to make every source of protein palatable and easily digested. The food also includes corn germ meal later in the list. The third ingredient is brewers rice. AAFCO defines brewers rice as the small milled fragments of rice kernels that have been separated from the larger kernels of milled rice. It’s a by-product of the rice milling industry. It doesn’t have a lot of nutritional value but it’s often used in dog foods to provide texture and structure to the food. However, it’s not usually something you want to see in large quantities. The fourth ingredient is poultry by-product meal (natural source of glucosamine). Poultry is not as well-defined as, say, chicken or turkey, so that’s less than desirable. And a by-product meal is usually not as good as meatier parts of the animal protein. However, there are some acceptable “by-products” that would include chicken necks and organ meats. This ingredient, which appears in lots of ProPlan foods, isn’t as good as anyone could wish. As a natural source of glucosamine it probably includes cartilage from the poultry. The food also includes animal fat – an unnamed fat source, which is less than desirable; fish meal that likely includes the artificial preservative ethoxyquin. And it includes animal digest which is from another unnamed source – and digest isn’t that great anyway. To top things off, the food also has synthetic vitamin K. It’s chock full of ingredients that any dog food site will tell you to avoid. One thing we do like about the ProPlan foods is the fact that Purina uses animal food testing for the AAFCO approvals instead of nutrient profiles. While some people will tell you that AAFCO testing isn’t very strict, we think it’s better than nutrient profiles. Making sure that at least a few dogs have eaten a food and done well on it for six months is a considerable achievement. It’s also expensive so we respect companies that go to those lengths to back up their foods. 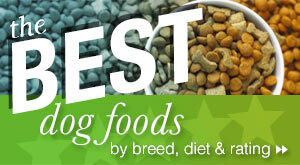 We know, according to all the dog food rules, you should avoid this food. 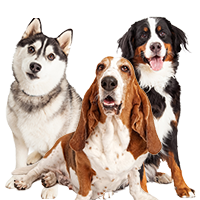 Nevertheless, we also know lots of people who feed their dogs ProPlan Sport All Life Stages Salmon & Rice formula and other ProPlan formulas and the dogs look great. They’re active. They live long, healthy lives. Some of these people have been breeding and showing dogs and hunting with their dogs for decades feeding these foods. 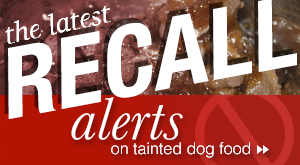 Plus, when other foods with better ingredients have recalls, ProPlan doesn’t. We have to recommend this food and other ProPlan formulas unless your dog has a problem with corn or some other particular ingredient in the foods. These are just the facts. Where can you buy ProPlan? You can purchase ProPlan dog foods at specialty pet food stores, feed stores that sell Purina products such as Tractor Supply Company store, and online from pet food retailers. You mention that Purina Select Sensitive Skin and Stomach contains some better ingredents than other Purina foods. Is there a review on the Select Sensitive? I have searched your site and can’t find one. My daughter is receiving a service dog this month and it is being fed Purina ProPlan Chicken and Rice, Large Breed. I’m not even sure which one this is after looking at Purina’s website. I want this dog to live a long and healthy life with us. I have been searching and studing dog food reviews for weeks now… and to be honest I don’t know any more than when I started! Help? Jennifer – be watchful of the Pro Plan Select S/S Salmon – it made my 1 yr old puppy very, very sick – bright red bloody diarrhea and vomiting. Per ER Vet and regular vet, both doing blood work ups and urine tests (high and low creatinine levels) was told the dry food caused this. Am reporting to FDA. I did the same, too – looking for more info on this food. I have been feeding my almost 5 yr old yorkiepoo Purina Pro Plan (now it’s called Focus) for small breeds, under 10 pounds. This is the only dog food she will eat. She won’t eat canned dog food at all. We also give her scraps of steaks and pure hamburger, cooked and small amounts raw once in a while. She also likes occasional pasta, cooked. Mostly, though, she eats the ProPlan. My dog is the healthiest, most energetic, intelligent and healthy animal I have ever owned. She is thriving on ProPlan, and like I said, will not eat any other dog food. If people are having problems, I suggest switching to people food, perhaps your dog has a problem with grains, just like people who need gluten-free diets! 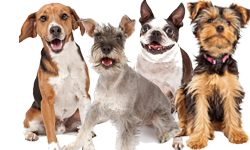 Each dog is different and a few here and there may react negatively to certain dog foods. I see negative reviews of every brand, not a lot of people bother to write positive reviews, but I’m sure dogs doing well on all brands massively outweigh the ones with bad reactions. That’s why I am writing this positive review. I have a Husky, she just turned 3. She has been eating Purina Pro Plan savor, chicken and rice formula for a year and a half. She just wouldn’t eat dog food. I took her to the vet to get her nails trimmed and they told me to try this. She loves it! But now after learning dogs are dying after eating Purina beneful… I’m afraid to give it to her!! Really confused! Hey paul that lawsuit against beneful was dropped testing was done and it was proven that it was not the food causing the dogs to get sick the guy that tried to sue also failed to say his dogs were like 12 years old. But yeah the lawsuit was dropped and pro plan does feeding trials so they makes sure nothing bad is in the food and that dogs eat it for a certain amount of time to make sure theyre no issues. Been feeding proplan sensitive skin and stomach for awhule..after trying every other food…my dog would not stop breaking out this is the only food that ls worked. Just put my older boy on brightminds. Love the food. I highly recommend Purina Sensitive Skin & Stomach. I have a bulldog mix that had very itchy dry skin when we rescued him and have been feeding it to him for 4 years now. The food was recommended by the vet as being an excellent food but not too too expensive. 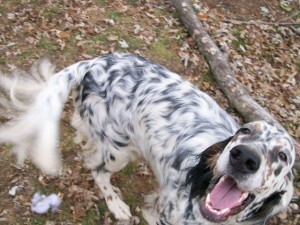 His coat is healthy and shiny and does not lick anymore or have red spots. we also throw some flaxseed ground on top of his food to add extra omega vitamins. this helps his coat too and he loves it. What do you think of the new Purina Pro Plan Bright Mind food? It’s new on the market. BUYER BEWARE! I believe Purina Bright Mind has started the beginnings of seizures in my 12 1/2 yr old coonhound. She is being worked up for pancreatic function , still awaiting lab results. Her blood work friday is showing low blood sugar. She was fed this food 5/24 to 6/26/16, and on 6/23 she had her first seizure. Since then has had 7 more, the most recent being yesterday. She has been on her old food since 6/26. Please do not buy this food. 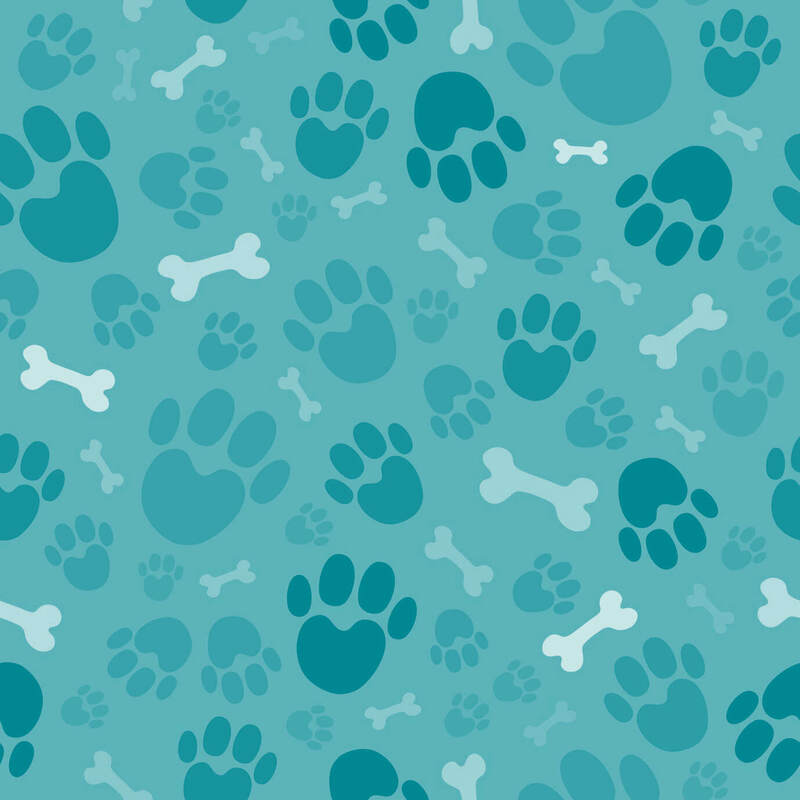 Had no idea dogfood had such an affect on our pets health and thus a dogfood recall list and FDA petfood reporting site is available to the public. Patty, I have a dog with seizures and i did not feed him with bright mind before this happened im a veterinary technician and believe me there is more scientific reason of why ur dog development neurological problems so please dont make accusations without any medical proof of that. I am actually feeding him with bright mind after the seizures episode. I also feed brightmind to one of my boys and am a vet tech. I completely agree with carla. My senior boy eats it and has a lot of medical issies in the past he was on taste of the wild and after he got sick i started him on purina proplan and he actually got better. No more diharrea or throwing up. Put him on brightminds about 6 months ago and hes thriving. I appreciate the comments on Purina.I have a 6 month old puppy and the breeder fed him iams and pedigree I switched him to Whole Earth and then to Fromms puppy and then he got diarrhea- we went to the vet got antibiotics once they were stopped he still had problems and the vet put him on Purina sensitive stomach.I am a firm believer in wholesome natural foods and was dismayed to feed him Purina.However he is doing very well( I also give him organic boiled chicken, sweet potato probiotics etc)There are too many premium dog foods with an abundance of lentils, chickpeas and peas- these are hard to digest for some humans and animals .How many dogs in their ancestral diets sat down to a bowl of streamed lentils?I have a senior adopted dog with intense digestive problems and she can eat no kibble no matter how premium it is Orijens for example made her so sick- she only eats limited ingredient venison canned.So there is way too much information out there and I appreciate the fact that the purina is working though it is my the last thing I thought I would feed and thanks for showing the good points of it.I am tired of researching this every dog food has some person warning you that their dog got sick on it – in a way the dog will ultimately choose the food that agrees with him not you .I think cooking would ultimately be the best but in the meantime the Purina is helping the puppy and I an scared to give him another “premium” food it is costly for me with vet bills and I went through an ordeal with he adopted dog and her food I can’t have a puppy who is always sick because I want to feed him what dog food advisor or an online retailer suggests.I am paying the vet and he is an older experienced doctor( I had another vet also tell me purina was the right choice) so I just have to accept this food for now. I owned a female Doberman who we fed Pro Plan to…recommended by our vet at the time. She was very healthy and live to be 13 years old. I asked two of my veterarians what they fed their dogs at hinge and both answered Purina Pro Plan. If it’s good enough fir my vets then it’s good enough for my dogs. Well, my neighbor is not a big fan of Purina Pro plan, mainly because I rescued a very picky eater just over a year ago. I have been through so many dog food brands, as well as making home made meals for her. With every rejection I would give the unused dog food to my neighbor who has a dog that will eat any thing. I went and picked up a bag of Purina Pro Plan, I had such little confidence that my Molly would eat it, I joked with my neighbor that I picked her Oliver up some pro plan. At dinner time, I put a bowl down, believing that Molly would do her usual sniff sniff and then walk away, I got busy preparing her a home made meal as expected Molly sniffed and walked away. It almost went unnoticed, as I was busy chopping carrots, chicken and stuff for her meal, but all of sudden I stopped and was in total disbelief, I was hearing Molly crunching the pro plan. Do I turn I dare turn around and risk her stopping. I am pleased to say, that Molly has been happily eating her Pro Plan and is in great health. For me, it is a great relief, as I always worried if I was giving her all the proper nutritional needs with my home made meals. It is so nice to have a healthy dog and to see them enjoy their meals.